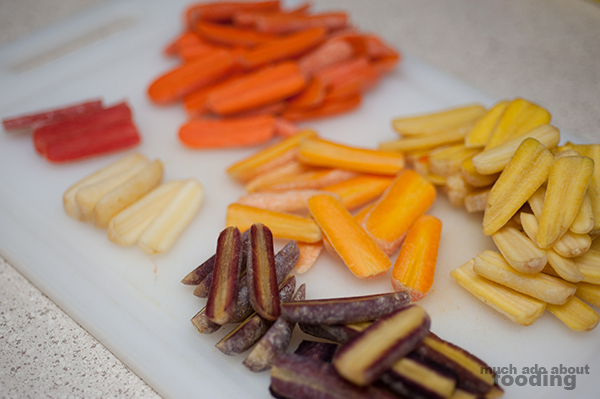 Heirloom vegetables can be some of the most beautiful you've seen because they take on the shape, size, and color of a varied genetic pool. Curious as to what exactly heirloom means? I wrote a post on it earlier that demonstrates the differences between heirloom and not. What you end up with when you go heirloom are some unique looks and feels that might strike your fancy as it does my own. 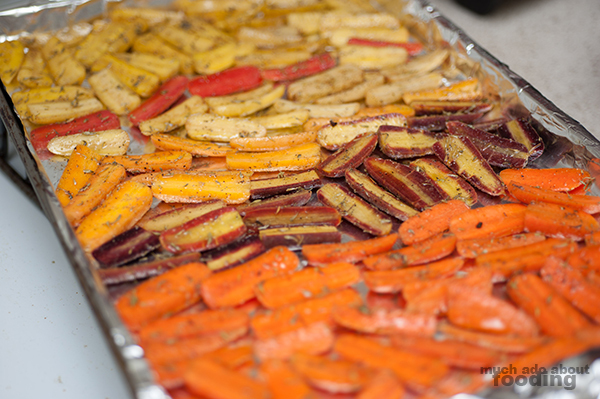 I got my hands on some rainbow heirloom baby carrots and decided to let them shine a bit. 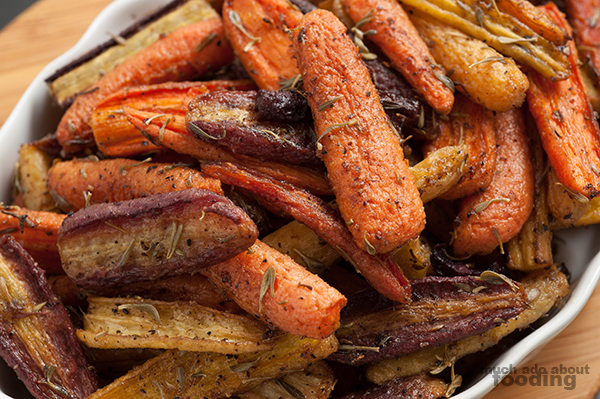 Roasting them with some thyme and balsamic turns these beauties into the perfect side dish for home or as a holiday potluck item. 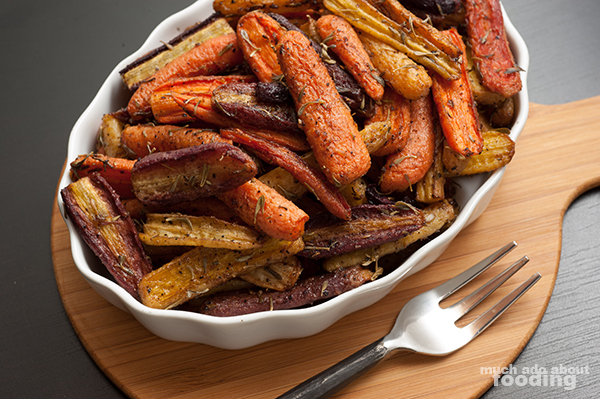 Give this recipe a try and ask yourself why you wouldn't want to handle these gorgeous carrots! Preheat oven to 350°F. In an adequately sized bowl, combine all ingredients except finishing salt. Mix thoroughly and let sit for 5-10 minutes. 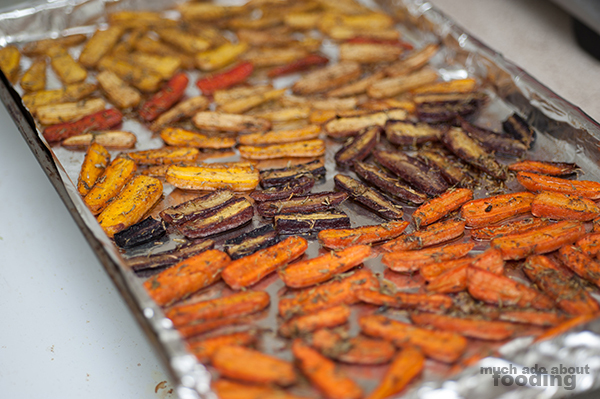 Then spread out on a baking sheet, making sure to keep colors separated so they don't bleed into each other during roasting. 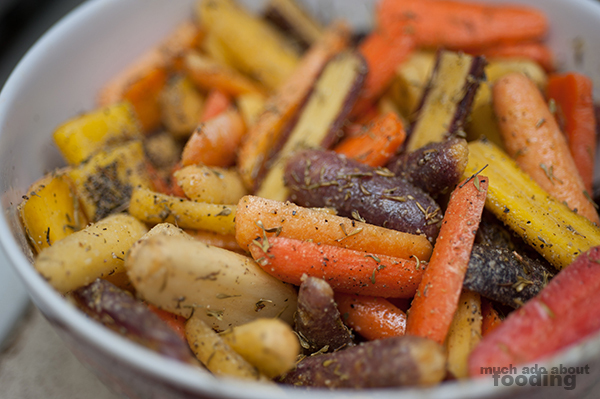 Roast for 35 minutes or until desired tenderness is achieved. Sprinkle on some finishing salt if you'd like more saltiness on it. Let rest before serving. These taste great both hot and cold!